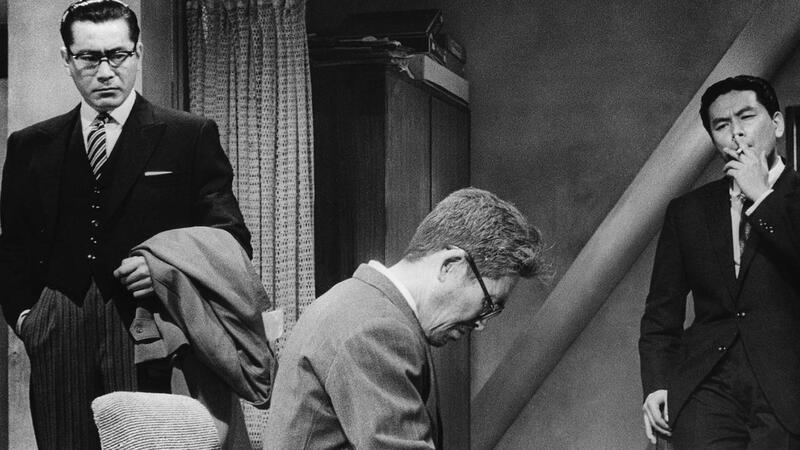 The Bad Sleep Well (tell that to Margaret Thatcher) is Akira Kurosawa’s cross between Hamlet and American Psycho. Hip to be square or hip not to be square? That is the question. This 1960 revenge noir set in corporate Japan has an almost Godfather-like political heft, borne out by its confusing yet rewarding plot that unfolds like origami, as well as the architecture of the film itself. The movie starts in corporate office blocks and falls as though thrown from a window until it’s literally underground, exposing the rotten foundations of the business world built up from the rubble of feudalism. Kurosawa’s version of post-war Japan is still dominated by rich, powerful families, corruption and organised crime. Watching it today, the Trump parallels loom like a tower block. Kurosawa transposes Hamlet into this world (let’s call it The Bankquet) with composure, restraint and the best gangster cake sequence since Some Like It Hot, all while retaining the knotty relationships of Shakespeare’s characters, capturing their ethical shades of grey in stark black and white. His wide shots are as shady as the characters and as organised as their crime, lending a cutthroat, sardonic sense of irony to this tale of criminality and moral bankruptcy in business. As the old saying goes: you can’t make a Hamlet without breaking a few necks.